Saturday I went to Eastman Park in St. 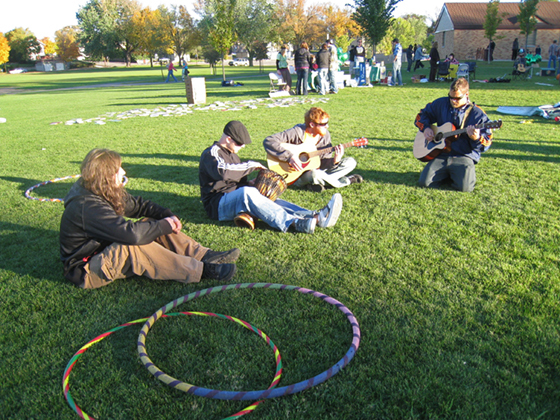 Cloud, MN for the Green Band Jam. Unfortunately Kayla was out of town for the weekend, but my husband, brother and a few friends came along with their guitars and bongos. 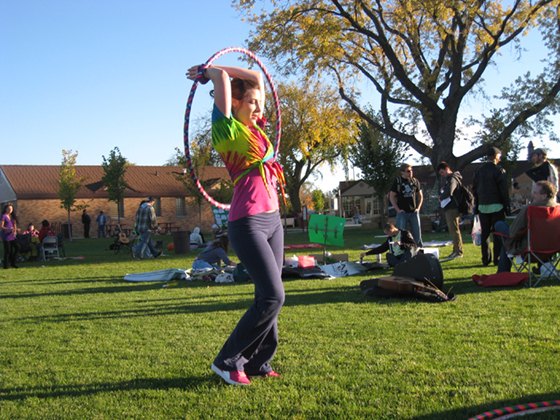 I got to hoop dance to several different drum circles and jam circles. 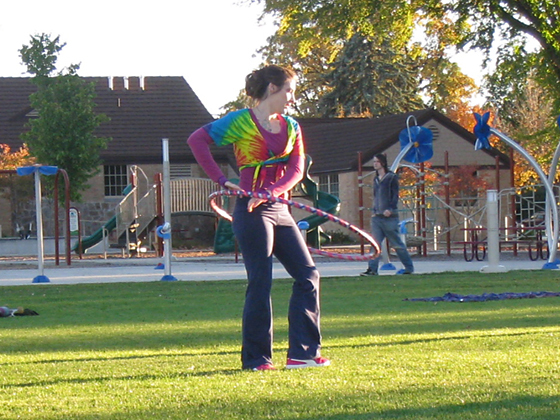 I brought along hoops to share and gave hooping tips to anybody who gave them a try. 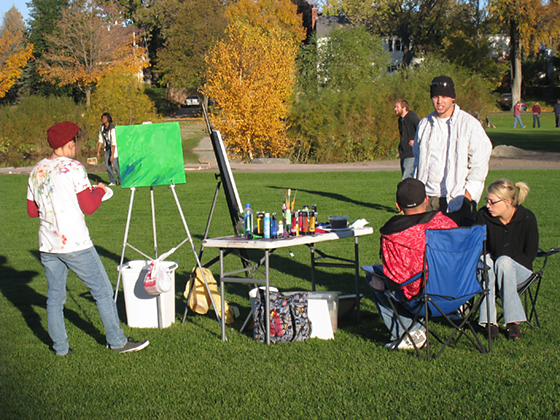 Around the park there were artists painting, a community canvas, face painting, free books and lots of instruments and musicians. It was a great mix of people with a positive vibe. Thanks to Robyn for inviting us! 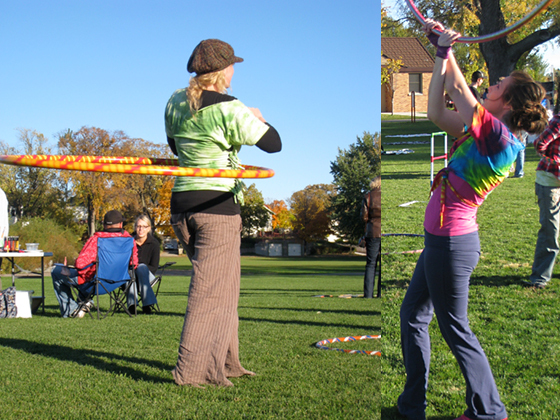 Here are some pictures we took. so awesome you could put this on here! it was a fun day! thanks for hoopin!